When Death has a story to tell, you listen. It is 1939. Nazi Germany. The country is holding its breath. Death has never been busier, and will become busier still. Liesel Meminger is a foster girl living outside of Munich, who scratches out a meager existence for herself by stealing when she encounters something she can’t resist–books. With the help of her accordion-playing foster father, she learns to read and shares her stolen books with her neighbors during bombing raids as well as with the Jewish man hidden in her basement. 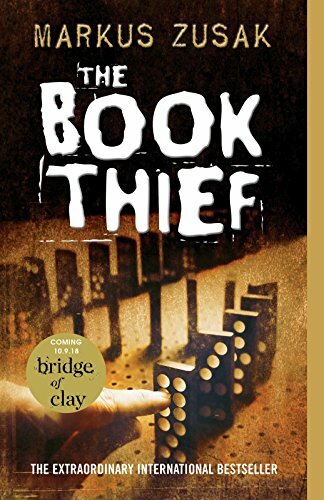 In superbly crafted writing that burns with intensity, award-winning author Markus Zusak, author of I Am the Messenger, has given us one of the most enduring stories of our time. $7.99 $2.99 Buy 62% Off!